The existing beer garden to the north of the building was upgraded from a small uncovered area to a larger area comprising a new roofed section with a stage area for bands, entertainers, shows, meetings etc. A covered way was provided to protect patrons from any inclement weather. Some existing garden beds were removed; the area was terraced slightly and tile pavers installed with new planter boxes provided. The external perimeter was shaped and plants / mulch installed to act as screening to the area. Galvanised water tanks were installed to catch the rain water off the new roof and thus provide some assistance in the dripper system installed to water the new plants. Two of the tanks were fitted with a piped water feature that pumped water from a covered drain below the tanks up to the top of the tank where it then cascaded down the ribs of the tank and back in the drain below. 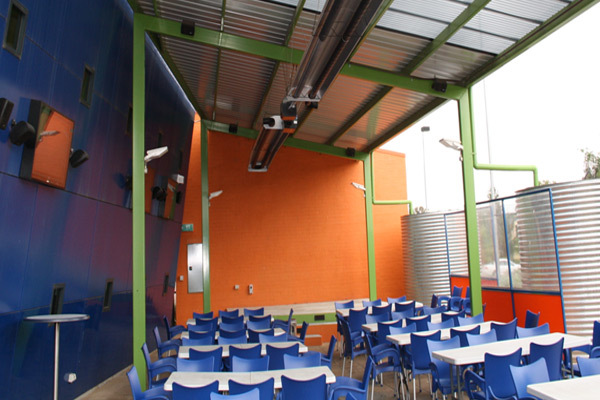 On the south side of the building, a new covered terrace was installed to provide a protected area for the patrons that smoke. This area was necessary as the new smoking laws made it mandatory that there was no smoking within club premises. Gas fired heaters were installed in both areas for the comfort of the patrons during the colder months. These were set with motion sensors that would turn the heaters on when a patron entered the area and then turned off after a short time when the area was vacated. In order to maintain a water supply to the plant dripper system, a float switch system was installed in the lowest installed water tank. A water supply line was installed from the main irrigation system to the last tank. 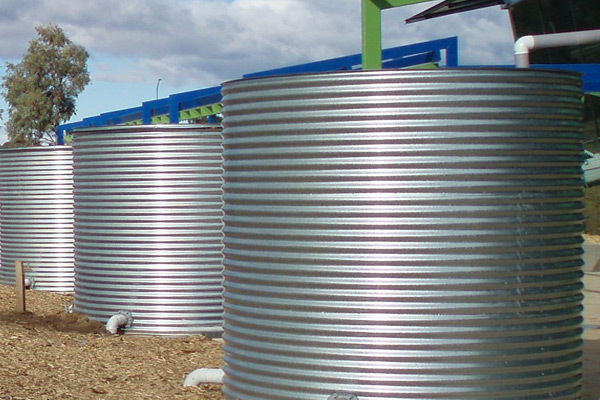 In the event of an extended dry period, where the tanks could not be filled with by the rain, the float switch would open when the water level was below 300mm, allow water from the irrigation main in and switch off when the level was back at 300mm thus maintaining a water supply to the plants.